Despite everything you’ve heard in the media, and read online, and even what some of you’re “misinformed” investor friends have said, Tax Liens and Deeds CAN be extremely profitable, if you know what you’re doing. And i’ll be honest here – if you don’t know what you are doing (And i’ve seen lots of students and so called “Pro’s” do this), you can loose A LOT of money, and loose it fast. But the fact that you are reading this right now, proves to me that you are committed to finding out the truth about Tax Liens and Deeds, and ready to make some serious changes in your life. Due Diligence – Knowing what to research and HOW to research effectively and efficiently. Planning Your Highest Value Time, so you don’t end up wasting it doing meaningless things before/during/after a Tax Lien Sale. Now, lets take a closer look into each one of these. 1. Due Diligence – Knowing what to research and HOW to research effectively and efficiently. This is where many of the so called “Investors” loose their cool. It’s great that there is this avenue of Real Estate that pays 10-26% interest on returns, yet so many people just jump right in, and don’t actually take the time to do any sort of research on how it all works. False – It’s just lazy people, not taking the time to do the pre-work. Many times, there will be REALLY nice profit spreads on tax liens, but the fact is, you could be buying a piece of land that is 3 feet wide, and 2 miles long, that the county subdivided 100 years ago, and is completely useless for the investor. B. Know exactly where the property you are bidding on is located – find it on the county plat. We are dealing with all open record stuff, so you can head into the county office (or pay someone else too), or look online and find out where the parcel of land it. (Making sure you don’t buy the side of a highway, or part of the desert). C. If you’re investing in your own state, actually go visit the property yourself, when you’re first starting. Get a feel for what it’s like to look at a property, and what you need to look for/avoid/cash in on. Once you get the hang of it, you can hire other people to go to the property and take pictures for super cheap, but when you’re first starting, make a point to get to the Tax Lien or Deed sale, and to the properties you’re looking to invest in. A quick way to check this? Google Maps or a great website called Zillow. 2. Planning Your Time, so you don’t end up wasting it doing meaningless things before/during/after a Tax Lien Sale. This one seems obvious, but i’ll quickly go through some very key points. Figure out before you get to the county auction, which properties you are going to buy – Get the list, go through it, figure out which one are in you budget, and make a new list of the ones you want to look at. It’s really simple. If you’re a keener, you could hire your daughter or son, or best friends kid to scan the list and pull out all the properties in your budget range. 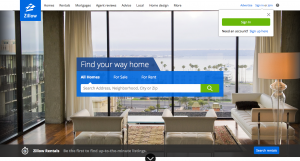 We want to focus on the highest value properties aka – the ones that will give us the biggest return. And we want to have a decent number of properties on our list, cause the fact is that they will redeem before the tax sale – people will pay their taxes up to the very last second. The more you have on that list, and the more you see beforehand, the greater your likelihood of getting one you want increases. It’s a numbers game folks! If you are the one driving around to all the properties, you NEED to get a GPS that you can input all your properties into. You’ll want to find one that will tell you what the best route to take to minimize the time it takes to get to each one. Basically you want one that will optimize your route. This is critical in saving you time, and energy, and not to mention safety on the road, trying to input address’ in on the fly. This tip has to do with visiting the actual properties – when you’re visiting properties yourself, when possible, get a photo the home/land and take detailed notes so you don’t get it confused with other properties. 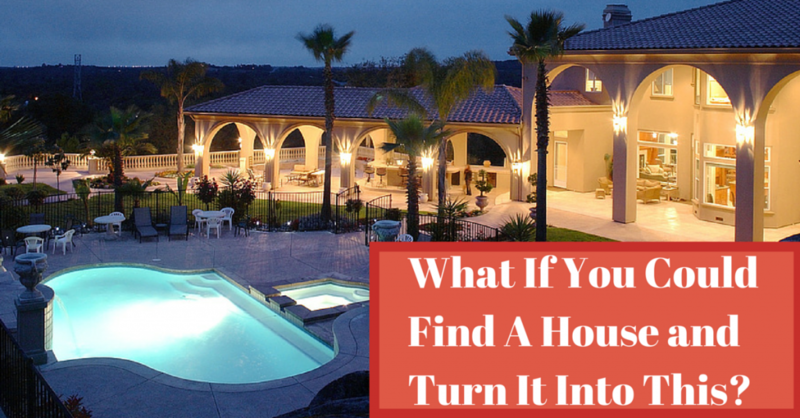 You’d be surprised at how easy it is to see 50 properties in a day, and come back at the end of the day, and have no idea what notes are for what property, and what picture goes where. I myself like to use a checklist, and making a spreadsheet of all the properties i’m visiting, and using a rating scale from 1-5, and if I write a 1 down next to that property on my checklist, i am 100% bidding on it at the property. But if i write a 3,4 or 5, I’m either definitely not bidding it at, or I have some more numbers to crunch when I get back to my hotel room and see if I could make it profitable. The reason it’s SO important to keep track, is that it is very possible that you could bid on the wrong property, get it, and be stuck with a property that is useless, and you don’t want. I still remember, on one of our Auction trips with students, a young lady accidentally bought the wrong property (It was next to the property she wanted). That could have ended very badly for her, because at some auctions, if you don’t pay for it, you get banned from coming back. Luckily in her case, the county was gracious, and allowed her to not pay for it, and come back and bid at the next auction. She got lucky – that is why it is critical to keep detailed notes, and using notepads, iPhones, Samsungs, Apps, or whatever you need to, in order to keep track of what you’re seeing, and what you’re going to bid on, so at the end of the day, when you’re back making your game plan, it makes sense to you what you’ve seen that day. This one can be make or break your bank account REALLY quick. Similar to the story of the lady above, if you get too excited, and get caught up in the bidding process, you can bid up a property extremely fast, and before you know it, blow past your budget in a matter of seconds. Energies are running hot, and the last thing I want you to do, is to walk away with a property or Tax Lien that you haven’t budgeted for. And reversely, the thought of being too successful can be just as dangerous. Have you every been promised money in advance, and instantly thought about ways you could spend that money? A new truck perhaps? A new kitchen redo? Giant television? Did you ever go out and buy something in hopes that you’d get a raise/bonus/extra cash, and in the end, not actually receiving that money and then you were stuck with a huge price tag you couldn’t actually afford? 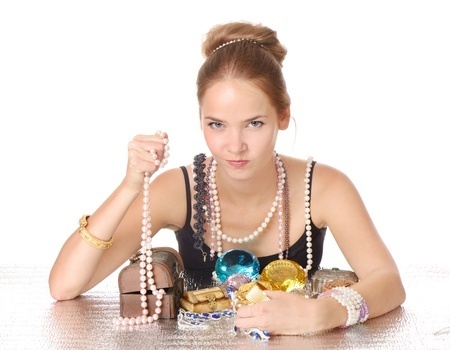 I call this the “Shiny Object Syndrome” and it is dangerously easy to fall into. This is why I bring it up – I want you to be aware of the fact that our minds can quickly see the profit potential in investing in Tax liens and deeds, and take us on a mystical daydream where we buy every new gadget invented, and the best truck, fridge, TV and fly to Australia for 6 months. While having goals and dreams are a MUST – being able to know when we are jumping a little too ahead of ourselves is also a powerful skills to master – The Skill set of Patiences and Self-Control. I know I sound like your Parents here, but It’s something I want you to be very aware of, especially at your first couple of tax lien sales. This one is simple, sometimes hard to stick with, and will keep you from getting caught up in the Tax Sale frenzy. Like I’ve said, the environment at a Tax Lien or Deed auction is really energetic and it doesn’t take much to go from $1000 – $10k – $20k on a deed or lien if the property is valuable. If you’ve got the money to handle that, then great, but if you’re budget is 7k, and you get stuck with a $14,000 property – well that is bad news! The night before, when you’re sorting through you’re properties and figuring out what you want, make sure you know how much money you have to invest that day, and STICK WITH YOUR BUDGET! If you don’t have a max budget, you’ll be uncertain once the auction starts, and loose your common sense if there is someone bidding against you. So those are some of the most important things I’ve learned from attending Tax Lien or Deed Sales, and the very same things that I teach my students who sign up for our Live Tax Auction Trainings. 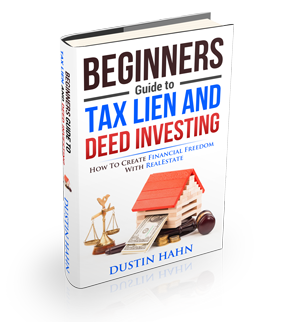 If you are interested in some more in depth articles and information on Tax Lien and Deed Investing, I’ve got a free training guide that outlines the 3 biggest mistakes that beginner investors make, and how you can avoid them. You can click on the image of the free training guide, or the button a bit further down the page to grab your free training guide today! I hope you’ve gotten a lot out of this article, and if you like it, please share it with someone who could use this info, like Tax Lien Certificate School on Facebook, and if you have any questions, my team and I would love to help you out in anyway we can, just post them below!